Jim Hosking and three generations of his family attended the Cornwall Garden Society Show this week where their splendid display of over 50 varieties of locally grown daffodils won a gold award. 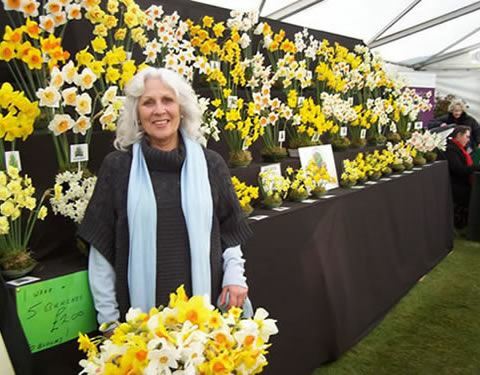 Many members of the public who attend the show were seen clutching large bunches of Fentongollan Daffodils as they wondered amongst the many stalls and displays of Cornish horticulture. Jim later said "we were very proud to receive this award especially considering the high standard of displays this year, Boconnoc is one of our favourite events during the year and it is great to be here with my daughter and grand daughter".